Hey guys!!! 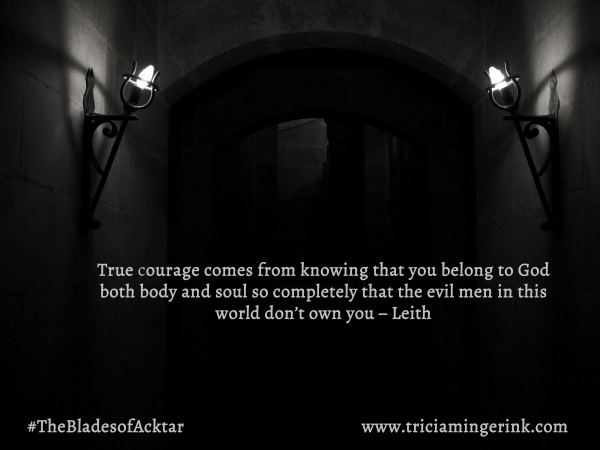 I’m posting today on the newest addition to The Blades of Acktar series. You can connect with her on Facebook, Pinterest, Goodreads, Twitter, Instagram, her blog. To see more posts on the blog tour, click here. Join Ms. Tricia at the Facebook Party on June 2nd. It’s sure to be very fun! Jaye L. Knight (Another one of my very favorite authors!) will be there too! There will be giveaways of books by Jaye L. Knight, Nadine Brandes, and Angie Brashear. Other giveaways include audiobooks of Dare and Deny, and paperbacks of the whole series! I’ll be there! I loved this book. It was more intense than any of the ones before it. Woah… I’m still trying to get over what just happened. This book had me feeling like my heart was being ripped from my chest. Leith Torren has left behind Renna Faythe in Nalgar Castle. Brandi is upset. She will take any risk to get her back. Who knows what will be done to her by King Respen? They flee towards the Resistance and away from the Blades. Leith only has one hope: that the Leader will help them somehow rescue Renna. But he knows that no matter what, he will return to Renna whatever the consequences. The bond between Leith and Renna grew and strengthened in this book. The way they interact with each other was so sweet. Leith went through so much, I mean, so much just to protect Renna. It was very torturous to read, but I think it was vital to the story. He is no longer afraid to defy Respen. Renna is braver and stronger than ever before. She has even become a bit bold. She’s kind, but willing to stand up for herself. Martyn, oh Martyn. He will forever be a favorite. I loved how this story went with him, it felt more realistic and true. His loyalties are divided between his duty as a Blade and his friendship with Leith. Brandi goes through some tough stuff for a girl her age and I enjoyed seeing how it matured her. But she is still that adventurous and spunky girl. The Leader…let me just say, he is interesting, and not at all what I expected. He gives me a creepy feeling, but I kind of like him for that. The pace was fast, really really fast. I love how the book started almost exactly where it left off. I was sucked in and on the edge of my seat the whole time. Boom boom boom! It never slowed down. There was maybe two or three “semi-peaceful” moments, but they never lasted for long. The decisions made by certain characters had me wanting to scream, “No! Don’t do that!”. The near to death experiences were thrilling. The battles were invigorating and moving. The book didn’t end with a bang, but with something more powerful and in a way more similar to real wars. Not everything is fixed and happy at the end, but I liked it that way and I’m betting the next book will set some things right. Everyone who loves a good Christian fantasy book must read this. It’s not preachy and it doesn’t feel forced on the story. This is one of my favorite series and I hope that you enjoy it too. Was Defy an easier book than the previous books to write? Or was it harder? Defy was by FAR the easier book of the series to write. By the time I got up to it, I pretty much had it all planned out, and the writing just came. It was so easy, it actually made it hard to move on to writing something new afterwards since it was just SO easy. What is a fact that most people wouldn’t know about you? Summer is actually my least favorite season. I don’t like heat, and I don’t like humidity. In the winter, you can at least bundle up and get warm, but in the summer, all you can do is wear shorts and a t-shirt, and you’ll still roast. Weird question: have you ever cried over your own characters? No. I got really tense during the infamous Chapter 42 in Deny and choked up once in writing an early scene in Book 4. Other than that, no. Then again, I rarely cry when I read other books or watch movies. Yes, I’m that emotionless person who managed to sit through Pixar’s Inside Out without tears while two of my friends were bawling their eyes out. If you had one day to spend in Acktar, what would you do? First, I’d like to pick a rather boring day so I wouldn’t have to worry about trying to dodge Respen’s soldiers or avoid Blades. I’d like to ride Blizzard and hang out with Renna, Brandi, Leith, and everybody. As long as they weren’t too mad at me for everything I put them through. If Leith, Renna, and Shad were in today’s modern world, what kind of job do you think each of them would have (if they had one at all)? Wow, this one made me think for a bit! Renna – she’s easy. She’d be a nurse, probably working her way up to being a surgical nurse. Shad – He’d be a second or third generation FBI agent. His father would be high up in the agency, but Shad would still want to start at the bottom and earn his way up without his father’s help. Yet, he’d also feel burdened to live up to his father’s legacy. There is two Goodreads giveaways! One is for Dare. One is for Deny. You have to enter by May 31st! Hey ya’ll!!! Today I’m posting as part of a blog tour for Jaye L. Knight’s new book Samara’s Peril!!!!! It is the third book in the series, Ilyon Chronicles, and absolutely one of my favorite series ever. You can see my book reviews for Resistance (Ilyon Chronicles: Book 1), The King’s Scrolls (Ilyon Chronicles: Book 2), and Half Blood (Ilyon Chronicles: Prequel Novella). A few of these were some of the first book reviews I ever posted on here. To see more people posting for the blog tour, click here. I don’t know if I can convey to you how great this book, this series, is. It is absolutely amazing. I have loved every moment of reading this book, and I can not wait to see how this story progresses. Finding out that Daican is planning something big against the country Samara, a group from the resistance led by Lady Anne goes on a undercover mission to get more specific information. There they discover something shocking that complicates things. But with the gathered information, they hope to head out to warn the king of Samara. There they will face a bigger battle than they’ve ever known, but maybe even more important, another battle is being fought in Jace’s own heart. One that could lose his life. One of the best things about these books is the characters. There is such a great amount of amazing characters. Though a few may be similar, none of them are exactly the same. In this particular book there was so so so much character development with Jace. He has to fight so much darkness and heartbreaking fears. Kyrin is so amazing. She has this inner strength and bravery that is beautiful to see. I loved how Jace and Kyrin’s friendship is developing into something more. Anne had more of a part in this book, and it was fantastic. I love how she can give a harsh or scolding remark without sounding mean. She knows how to bring down people too full of themselves. Holden plays such a vital part in this book that I never expected. It has made me come to love him so much more. The brothers, Timothy and Aaron, I need more of them! Rachel, Elanor, and Charles were all great, new characters. I absolutely must know more about Elian and Balen. The Altair family is so fun and just enjoyable to see them all interacting together. Rayad, Warin, Trask, Aric, and Trev are all other characters that I love so much. Let’s just talk more about Jace for a moment. He’s pretty much the central character in this book which I am absolutely happy with because he is my favorite character. Oh my goodness! In this book Jace stressed me out more than any of the earlier books. He is so broken and torn up inside. He has never been so lost before. His struggles were so real and frightening for him, I got very worried. He is going to be the death of me. This felt so real. I connected with with the characters as soon as I began to read and I was just swept away into an amazing world where my heart was broken again and again. The plot was exciting, intense, and totally not what I was expecting. The shocking reveal was very shocking. I literally screamed into pillow for like a minute. The battles were real, exciting, and so stressful. I mean with dragons and firedrakes and your favorite characters’ lives threatened with death, how could it not be? It was surprising how allegorical this book was from its predecessors. It was something altogether neat and beautiful to see. I loved the parallels to Christianity, but it never really seemed like too much. It was smoothly blended into the story. This is not at all preachy like some books can be. The religion compliments the story and helps the characters answer some questions that many in our own world ask. It strengthens it without sounding unnatural. I love this world. It’s fantasy, but not too much. The characters are so precious. The writing is amazing. And this series is going to kill me. Just go read it, alright? You shouldn’t need anymore convincing. Where is your favorite place to write? Why? Outside. That is, if it’s warm, of course. In Wisconsin, that’s no guarantee. But I love the outdoors, so I like to be outside as much as I can. In the summertime, I write out on the porch a lot. For you, what is the hardest part about everything involved in writing and publishing a book? How do you overcome it? It’s probably the actual writing part that’s the hardest. I’ve been prone to bad bouts of writer’s block. The best way I’ve found to overcome it is, no matter how much I might hate and cringe at what I write, to just push through and put something down on the page. It can be just awful, but at least it can help me get past whatever part is hanging me up. Problem is, I’m also quite a procrastinator at times, so that makes it difficult as well. What are you most excited about in Samara’s Peril? All the many questions and issues that are finally answered and resolved. This book is a real turning point in the series, especially for a certain beloved character. 🙂 This book will answer most of the questions I get all the time. What is your favorite part of the world of Ilyon? I love the different societies. I had a lot of fun brainstorming what each of my different races were like. Even though the story has been centered in one country for the most part, the second half of the series explores more of Ilyon, and readers will get to experience more of the different cultures. I’d have to say my favorite of all of them is the crete culture. It’s kind of a mix of Native American, elves, and some of my own ideas. I’d love to be a crete and live in a crete city. They do have dragons, after all. Hey everyone!!! Today is the start of a blog tour for Deny, the second book in The Blades of Acktar. To see my review on the first book, Dare, click here. It was absolutely incredible. 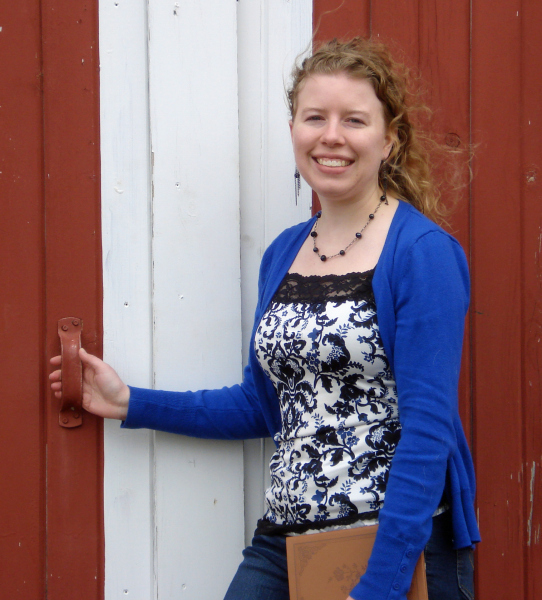 Today, I am doing an author interview with Tricia Mingerink. Next week I will post a review on the book. So be on the look out. Enjoy! Promoted to the top rank among King Respen’s assassins, First Blade Leith Torren hides his involvement with the Resistance. How many lies will it take to protect his secret? Renna Faythe has done nothing but survive for the past four years, but now Leith’s courage inspires her to try to be something more. If only she could figure out what that duty might be. When the unthinkable happens, faith waivers. Friendships tear. What else will they be forced to deny? But this time, Leith faces his greatest fear. When did you first start to come up with ideas for The Blades of Acktar? I first got the idea a little over a year ago. It sort of hit me all at once. I had this idea about a dark room with black-clothed assassins sitting around a table reporting to the king. I knew the main character was named Third Blade Leith Torren and he didn’t want to be there. The rest of the story came from there. Are there any inspirations you had from books, movies, etc. that helped make The Blades of Acktar? Even though Jaye L. Knight’s Ilyon Chronicles are very similar, I didn’t read them until after I’d written the first drafts of the first three books in The Blades of Acktar so any similarities are purely coincidental. But, they did give me motivation to push forward with revising and publishing The Blades of Acktar. Not only that, but Jaye’s publishing resources under her previous pen name Molly Evangeline pretty much taught me what I needed to know about formatting a paperback. Are there any major changes that you made to Dare or Deny before publication? Why? Are there any changes? I could write an entire book about the changes I made to these books during revision. For Dare, Renna wasn’t actually in the original ending. Leith’s plan went all right. No tension whatsoever. So I changed it so their plan went all wrong. Also, the whole love story part of the book? That wasn’t in the first draft either. Deny made the changes to Dare look superficial. I pretty much re-wrote the entire book. I started from scratch for the first 80 pages, rewrote most of the scenes with Martyn, rearranged the order of the chapters, and re-did the entire love story part several times. I think chapter 42 is the only chapter that remains mostly how it did in the first draft. Everything else is has changed that much. That’s a tough one. I think I put a little bit of myself into each character in some ways, yet none of them are really like me. Renna is my scaredy cat side, though she is even more introvert than I am. Leith is probably the most like me. We share the same fear of failure, though he is much braver than I am. Have you written any other stories that haven’t been published? Yes, a lot. I have manuscripts from several series (some finished, some not) that are stuffed away in drawers and filed away on my computer. Perhaps someday I’ll dust those storylines off. Do you have any ideas/thoughts for books besides The Blades of Acktar? Of course! I have ideas for everything from fairy tale retellings to steampunk to dystopian to historical fiction. I’m still brainstorming those ideas to see which one I decide to write once I finish Book 4 of The Blades of Acktar. When did you really start to think about becoming an author? Is it what you were expecting? I started drawing picture books when I was 2 years old before I even knew how to write. When I was 6, my parents took my family to Laura Ingalls Wilder’s home in Mansfield, MO, the place where she wrote The Little House books. When we took the tour of the house, I saw Laura’s desk and right then and there, I decided I was going to be a published author someday. It took 19 years from that day, but I got there. It’s both the same and different than I thought it would be. It’s not the giddy excitement or absolute joy all the time. It’s a lot of hard work, and honestly, getting that second book out is way harder than the first. But, it feels right, like even when it is hard, it’s what God has called me to be. What is your favorite part about being an author? Readers, though they are the best and most humbling part of being an author. It is amazing to hear about people getting your book as a birthday present or dressing up as one of your characters for school, or starting a Pinterest board dedicated to your book. Yet, it’s also humbling. I sometimes feel very inadequate and I realize that in the end, when these books touch people’s hearts, it’s not my work, it’s God’s work and I need to give the glory to Him even when I’m tempted to bask in it for myself. For more information on the blog tour and to see who’s posting on it, click here. 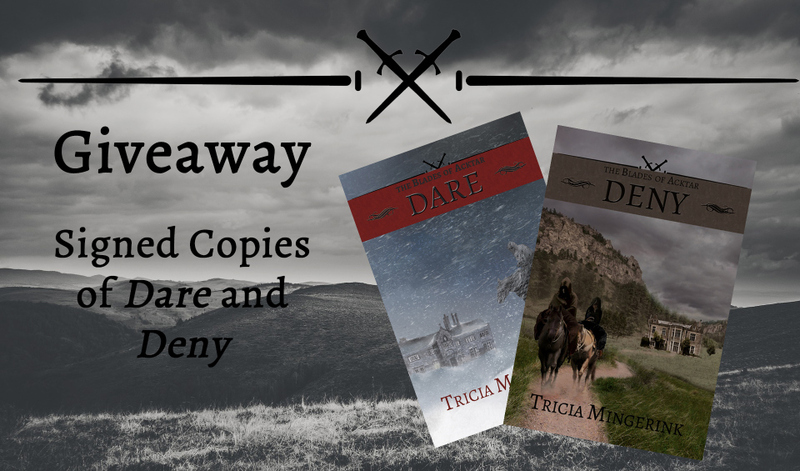 To celebrate the release of Deny, Tricia is giving away a signed set of Dare and Deny! I hoped that you guys enjoyed this! I enjoyed it! Really though, everyone needs to read these books! They’re fabulous! Hey everyone!!! 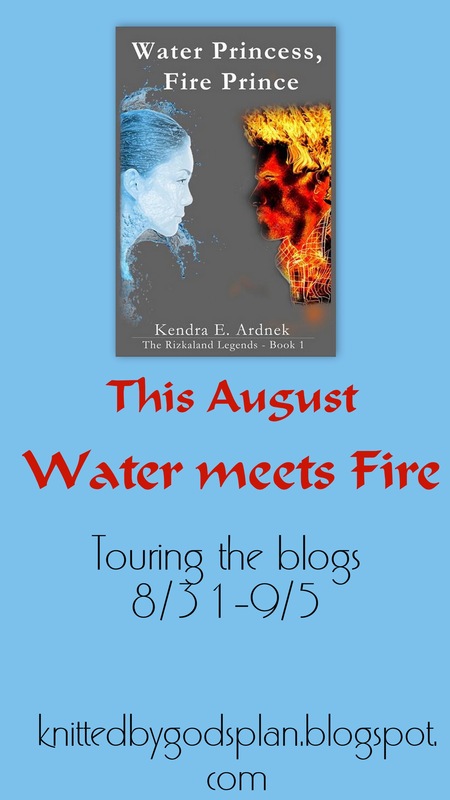 Here is another post that is part of the Water Princess, Fire Prince Blog Tour. Today, I am posting an interview I got to have with the author. Enjoy! 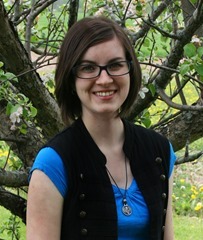 Kendra E. Ardnek loves fairy tales and twisting them in new and exciting ways. She’s been practicing her skills on her dozen plus cousins and siblings for years, “Finish your story, Kendra”, is frequently heard at family gatherings. Her sole life goal has always been to grow up and be an author of fantasy and children’s tales that also glorify God and his Word. You can read more about her on her blog,knittedbygodsplan.blogspot.com. For more details on the blog tour and to see who is posting, click here. When did you decide that you wanted to become an author? When I realized that books were written by people and it was a viable career option for me. I did get distracted for a few years with screenwriting, however, the screenplays I wrote are what eventually evolved into Rizkaland, so I’ll forgive them. When did you first get thoughts for the Rizkaland Legends? Due to our limited resources and cast, I had to make some changes. The beavers became horses. All four Pevensies became girls. Aslan became a giraffe, and so on and so forth until the story morphed until it became what is now book 2 of the Rizkaland Legends which is scarcely recognizable as what it began as. Are there any major changes you made to Water Princess, Fire Prince from its first draft to its publication? Not as many as the sequel! WPFP went through only two complete drafts, One written over the course of five years, one finished in five (not necessarily consecutive) months. The same basic plot, most of the same basic characters – most of my major plot changes were hammered out before I even put my pen to paper in the first place. Andrew went from a youngest to the eldest. The initial setting changed Hawaii to Texas. I got rid of Nerissa. We won’t discuss Nerissa. Where did the name Rizkaland come from? Well, pretty soon into the writing process of the script, I realized that I couldn’t call it Narnia if I was making as many changes as I was, so we named it …. Arcaland. However, my mom pointed out that it was a bit too close to Archenland (which had been what I was trying to do, but nevermind that) and we needed a different name. One of the friends suggested Rishcaland, which I didn’t quite like, because it reminded me of a Rickshaw, but I tweaked it into Riscaland. I blame refrigerator magnets for the change to Rizkaland. Were any of the characters’ names picked for a significant reason? Why? Andrew was named after my dad. And several of the Rizkaland characters were named after the patriarchs of the old testament. This didn’t start out on purpose, but some of them were. What part of Water Princess, Fire Prince was the most exciting to write? Oh … wow … there were a lot of exciting scenes (as you well know, having beta read it! ), but I would have to say it was … the first chapter of part 4, I loved writing those plot twists. Which character(s) in Water Princess, Fire Prince is most like you in looks/attributes? Surprisingly, I identify best with Amber, the villain. Physically, the only difference between us is she has brown eyes, I have blue. We both have a slight weakness when it comes to power. Mwahaha. When are you thinking the next book in the Rizkaland Legends will be out? Hopefully next summer, but we’ll see what happens! Do you have any thoughts/ideas for other books separate from the Rizkaland Legends? Almost all of my writing connects at some level or another, most of it fitting into either my Rizkaland Multiverse, into Bookania, or as part of my Ankulen multiverse. They themselves are loosely connected, but those are my “big three” so to speak. For a few rogue ideas … I do have my HaV Academy Trilogy, which is a Superhero Boarding School Dystopia. I plan to attempt traditional publication with this one.